The Agronaut Agricultural Data System (MAG100) provides gimbal stabilization for the Parrot Sequoia multispectral NDVI camera and Map Pilot integration for repeatable results.  The core of this capability is the Drones Made Easy Ninja OBC which provides the hardware required to drive the DJI H4-3D gimbal, communicate with Map Pilot via the DJI On-Board SDK and pre-process the raw images taken by the Parrot Sequoia camera into useable calibrated images. Once a mission is completed, remove the micro SD card from the adapter in the incident light sensor. Restart the Agronaut aircraft and wait for the FUNC light to cycle back and forth between Green and Yellow (the sign that it is looking for the remote or not connecting properly). Once this stage has been reached, insert the micro SD card into the Ninja OBC's card slot. This will make the FUNC light blink slowly RED and OFF alternately every couple seconds. This means the processing has successfully begun. Once the processing is complete the Ninja OBC will go back to the Green/Yellow cycle. Only complete image sets (GRE, REG, RED, NIR) that are discovered on the card that have not been processed yet will be processed into a single image and placed into the 'combined' folder.  These combined images can then be uploaded to Maps Made Easy for processing. So post-processing with the Ninja seems to require a specific mini SD card.